NASA's Hubble Space Telescope discovered the next target for the New Horizons spacecraft — 2014 MU69, nicknamed Ultima Thule — in June 2014. 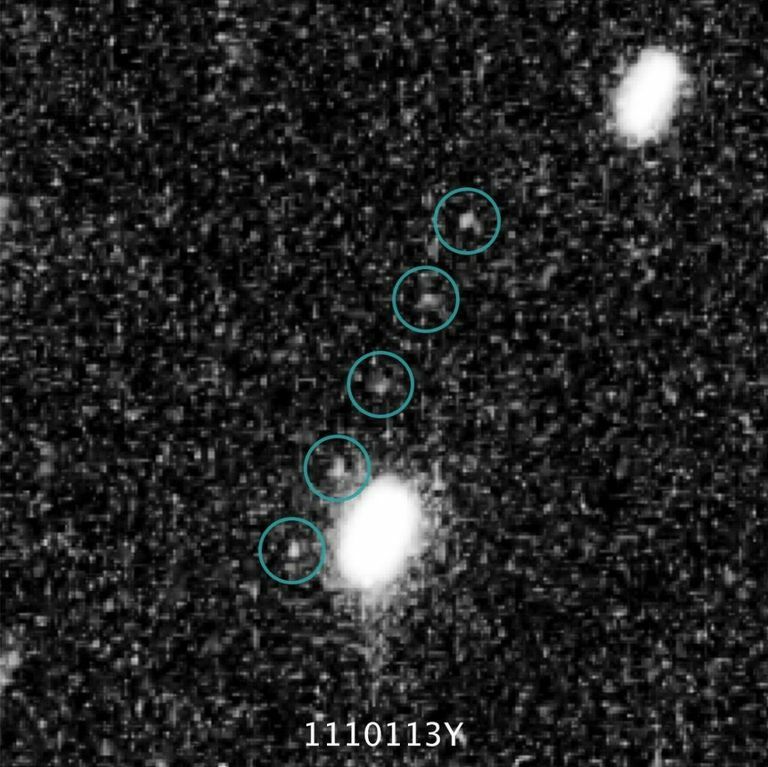 Seen in these five overlaid images, the object resides more than one billion miles beyond Pluto in the frigid outer reaches of the Kuiper Belt. New Horizons will reach Ultima Thule on New Year's Day 2019.